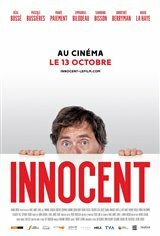 Francis (Emmanuel Bilodeau) is a gentle and generous man who finds himself behind bars after innocently getting involved with a number of people who abuse his good will. During an interrogation, he has to convince the police that his actions were not those of a criminal. He thought he was performing good deeds, such as when he helped a confused widow who claimed to have been cheated by a garage mechanic. To complicate matters, Francis seeks revenge on the dangerous criminal who disrespected his late mother.